Fashion Fix: Camila Cabello’s boots from Capital FM’s Summertime Ball – MP! 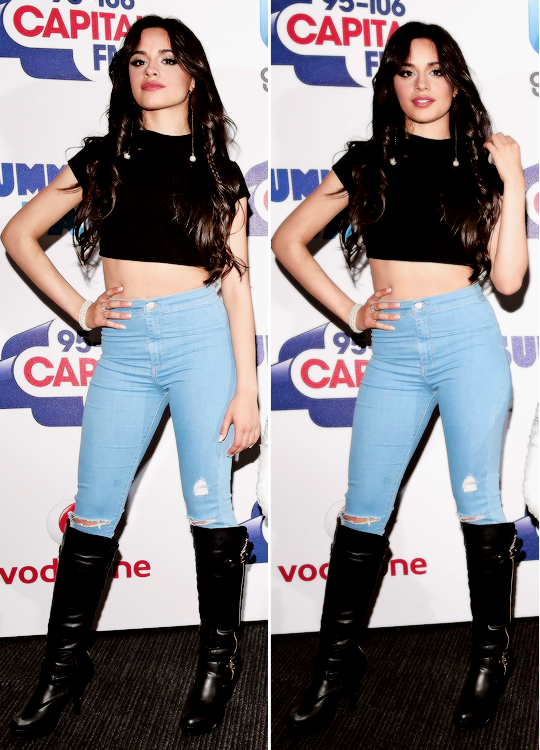 Today’s Fashion Fix is Camila Cabello’s boots which she wore at Capital FM’s Summertime Ball. When we’re not wishing we could sing like Fifth Harmony, we’re wishing we could dress like them too. Here’s how to achieve Camila’s beaut boot look. If you manage to get these boots, please snap a selfie and tweet it to us @maximumpop using #MPFashionFix so we can envy your fab fashion sense. Looking for more Fashion Fix? Check out Taylor Swift and Zoella! Previous article WORLD PREMIERE: ‘Fifth Harmony: The Movie’ Will Kid Ink take over the world? Find out here. Next article 2 of our favourite T-Swift songs mashed together? Yes, please. 2 of our favourite T-Swift songs mashed together? Yes, please.